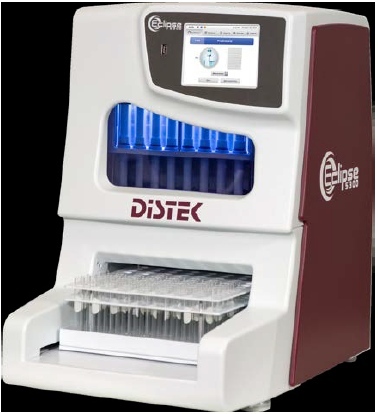 North Brunswick, NJ - Distek, Inc., a leading manufacturer of laboratory testing instruments for the pharmaceutical and biotechnology industry, is pleased to announce that the Eclipse 5300 Dissolution Sampler has now received CE, ETL, and FCC mark approvals. The Eclipse 5300 has undergone certification with an accredited testing laboratory and has passed all the required testing standards for obtaining approval. Placing CE, ETL, and FCC Marks on our product shows consumers, specifiers, and authorities that our instrument fully complies with these important safety and regulatory standards. The European Commission describes the CE mark as a “passport” that allows manufacturers to circulate industrial products freely within the internal market of the EU. The ETL mark indicates that the product has been tested and met the requirements of a widely recognized US product safety standard for distribution throughout the US and Canada. The FCC mark certifies that the electromagnetic interference from the device is under limits approved by the US Federal Communications Commission. To learn more about the Eclipse 5300, contact Distek’s Corporate Office at 732-422-7585, by email at info@distekinc.com, or visit www.distekinc.com. Distek, Inc., headquartered in North Brunswick, NJ, offers a robust product portfolio including water bath and bathless dissolution, dissolution media heating, degassing, dispensing and disposal, in-situ fiber optic UV, bathless tablet disintegration, content uniformity, programmable automated sampling and single-use bioreactor systems for mammalian cell culture applications.